Its been two long years that I have started this little space of mine and had been continuously attached to it with a maximum break period(3 weeks).Though initially(first 6 months) was just a matter of updating my posts just like an online diary and never bothered to make any friends out here.But later,there were many good old frenz who always supported me & my posts with all their encouraging comments which never made me felt out of this world.Though some of them have vanished and some new ones have come up and the cycle of friends continues.Thank u friends,readers and regular visitors of Erivum Puliyum for all your motivation to keep my space alive till day.Am thankful to each one of you who have contributed this to my space,Hope you guys continue to be part of my little space as always !!! Two years has developed me from a novice blogger to a bit knowledgeable person in the blogging world.When I started the blog two years back,I hardly knew what was blogging,how do I add/change gadgets,how do I copy/paste URL,how to add the html codes,how to go about an event and lots more.Not only did blogging develop my computer knowledge & skills but also a lot about photography.I hardly knew food photography,food presentation,food styles.Though not much improved & learnt but still have started identifying a good food picture atleast.And as I always say blogging has been my motivation not only to cook but also to try out different foods which otherwise never would have happened.Anyway,enough of blah blah on this exciting day,let's get back to our treat part.Thank u again guys for the support to the published 434 posts so far !!! Today's recipe is a visual treat to all my dear readers,regular visitors and my dearest friends as part of my anniversary celebration-Pineapple pastry.Pineapple pastry is a common menu item in bakeries and the first one that attracts our attention beautiful ones to peep through the glass windows.This was one of my favorite pastries and loved the taste so much that my bakery visit was always with the pineapple pastry.But being away from Kerala,gave me a thought & craving to have this at home.And that's how I wished to bake this out.The lenten time provoked me to give the eggless version a try and am happy that I baked and was successful.Kids were the most excited ones to grab the slices and I loved eating every bite of it.I covered it with my favorite whipped cream icing.It was definitely a great treat for them.You guys enjoy making this & will love it!!! Sift the flour,vanilla custard powder/ corn starch,baking powder,baking soda and salt twice.Keep aside in a bowl. Add the condensed milk and melted butter.Mix to combine well with a wire whisk. Pre heat oven to 325 degrees F and line a square pan 8"*8" with parchment paper at the bottom and the sides with butter and dust with flour. Puree the crushed pineapple in a blender without adding water /add just like that the crushed pineapples(1/2 cup)in the batter,combine well until incorporated. Pour the batter in the prepared pan and bake for 25-30 minutes or until the tooth pick inserted comes out clean. Remove from oven and cool on wire rack.Invert the cake on a rack and let it cool both sides. Cut the cake in the center in two equal portions.Place the flat surface as the top and place tthe first layer on a cake plate or any serving plate. 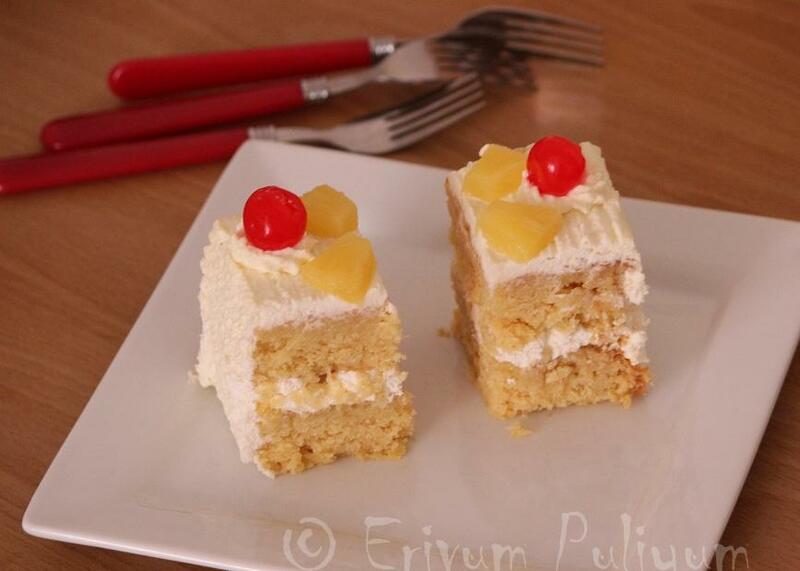 Pour few drops of reserved pineapple juice to soak the cake. 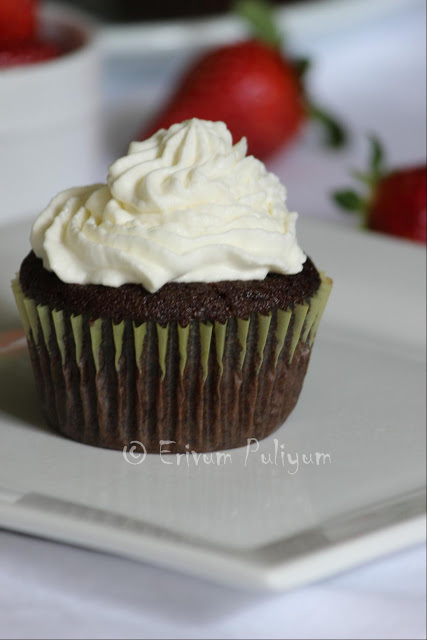 Prepare the whipped cream as per this recipe or use store brought whipped cream. Place a thick amopunt of cream on the layer and then place small pieces of pineapple on top. Place another layer and soak the layer with a tbsp of pineapple juice. Apply the whipped cream on top and sides carefully covering the cake. Draw desired patterns using whipped cream and place the sliced pineapples,maraschino cherries to finish. * Always reserve the juice of the canned pineapples to soak the cake or else you have to prepare the sugar syrup if using fresh pineapples. * You can use fresh pineapples too instead of canned.I have used canned pineapples. Happy 2nd anniversary and what a lovely cake to mark the occasion. I agree with you .....it is totally a visual treat. Congrats Julie, 434 is a good number. keep rocking. pastry looks great. wow..gorgeous luking pastry n congrtas julie...keep rocks like dis..
Congrats Julie. Wow! Looks Amazing..the colour,texture,taste looks perfect.This is our favourite too..We used to buy this from Caesars Bakery here..This one looks like that..
wow, i was looking for a pastry , thnx for sharing. bookmarked! Congrats Julie, the cake looks so moist and light and I like the way you have decorated it, looking fwd to more of your lovely dishes girl..
Looks yummy and perfectly decorated too! Congrats for 2nd blog Anniversary. Looks perfect. Pass me one cake slice. Congratulations on completing 2 successful years of blogging, wish you many many more years! Lovely cake to celebrate the occasion! 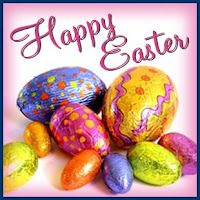 hope u had a good Easter Julie, and celebration with family. 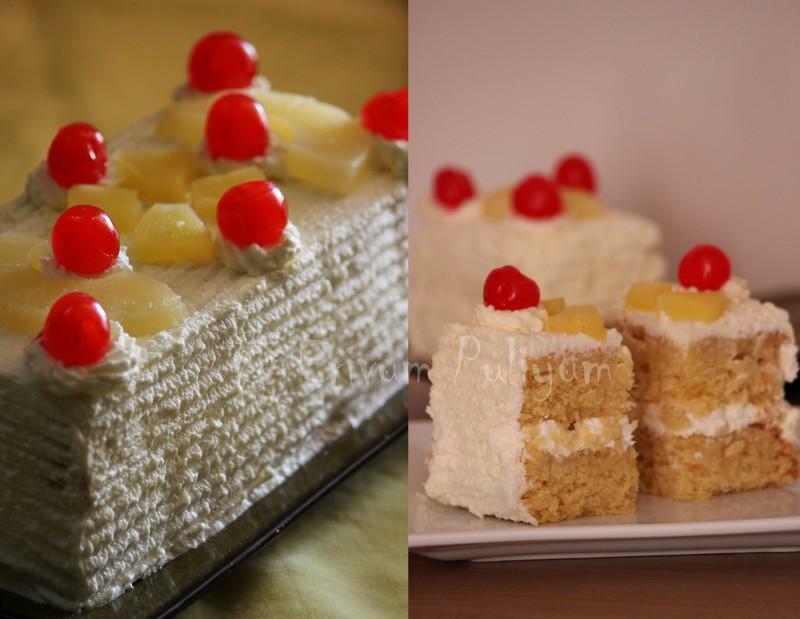 These pineapple slices could outwin the original bakery ones anytime! Congrats on your milestone! Pastry looks beautiful! Happy Anniversary Julie. The pine apple pastry is my fav. They have turned out very well. Nice job. Congrats on your blog anniversary dear. 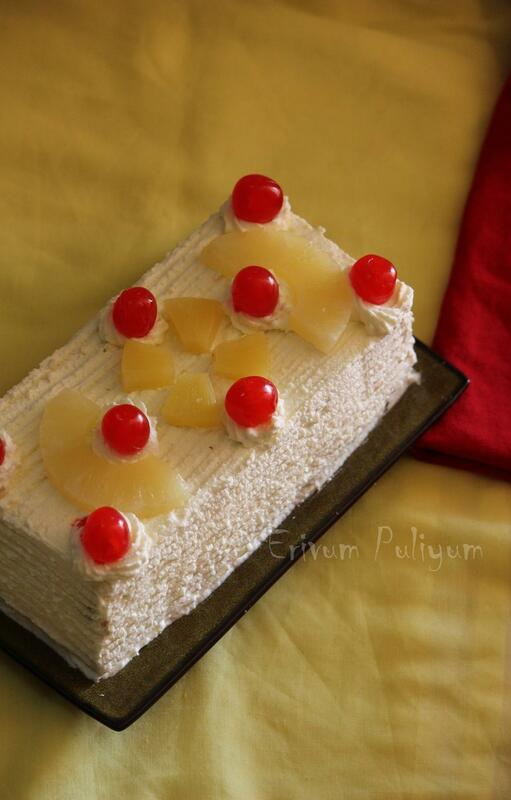 Amazingly made pineapple pastry......mouthwatering. Pastries Looks very professionally made!..love the clicks too!! 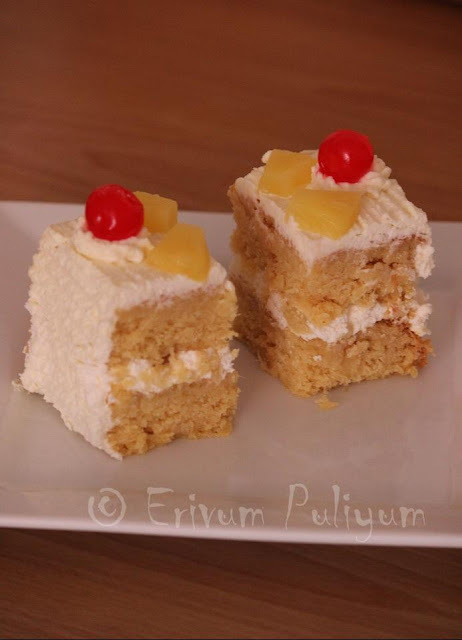 Congrats dear on the 2nd blog anniversary.Keep going.Pineapple pastry looks super delicious. Happy anniversary..perfect recipe for celebration! appy anniversary.pastries looks so divine. Congrats on your blog anniv..pastry looks yumm! congrats Julie darling ..on successfully completing 2 full years!! way t go!! 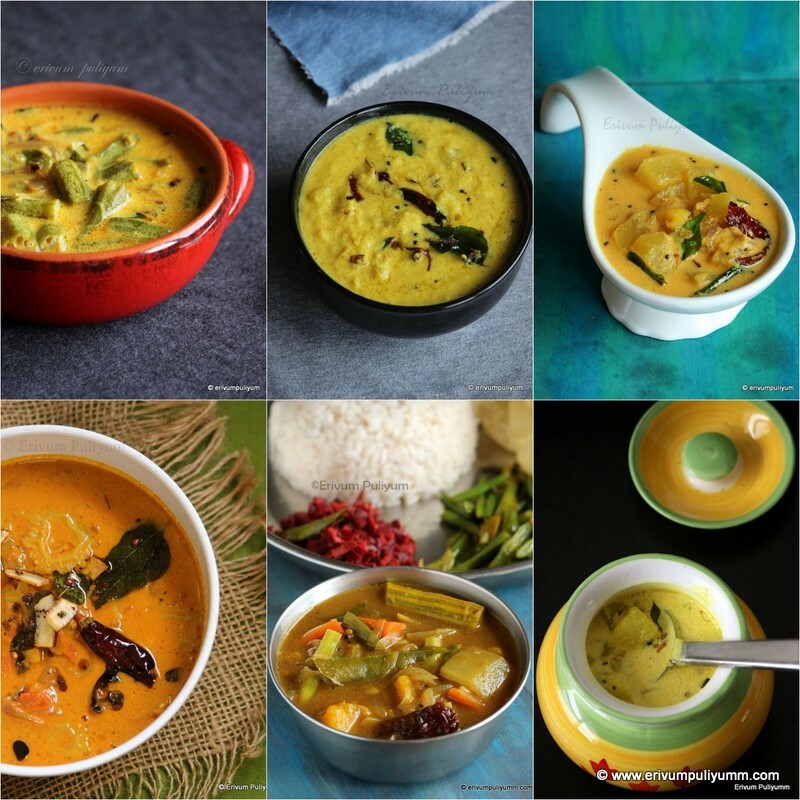 and this is soo lovely ...have bookmarked this recipe. hey! was just wondering..does corn flour have any particulr role in this mix. i mean..to make it soft..? something like that?? just curious..
Congratulation and a very happy anniversary! Perfect pineapple pastry for the occasion. Happy anniversary dear..pastry looks yummy! Perfect Pastry for celebration,so tempting and looks gorgeous. Great news Julie..I love your place dear..Nice way to celebrate with this pastry..many congrats and all my best wishes to you for many milestones to come ! Congrats Julie, keep on rocking,i dont mind have those slices rite now. Wow you have such a nice blog! I just started following you and it w'd be highly encouraging if you may follow mine too ! Hearty Hearty congratulations on your 2nd anniversary, Julie!! Very proud of you and your work in the blog world. So far, I have learnt a lot of cooking from your blog!! I could not believe that you are only 2 years old in the blogosphere, yet your blog looks like it is there forever with picture perfect content. 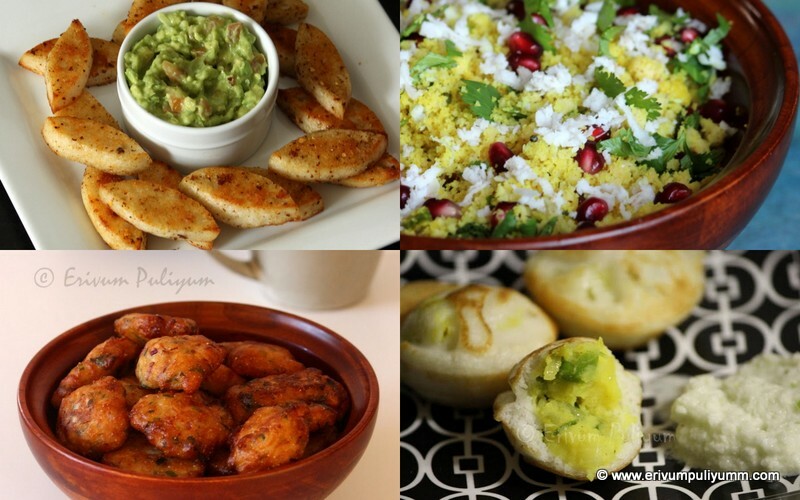 I'm glad to have stumbled onto your blog.. And would love to see & learn a lot of cooking from you. Btb, Love the double layered pineapple pastry. Looks yum! Congratulations and keep going. You rock. What a lovely cake for the perfect celebration. My fav. Happy Anniversary...love the pastry..so professionally made!! Congrats Julie! Happy blog anniversery...the pastry looks so yummy. 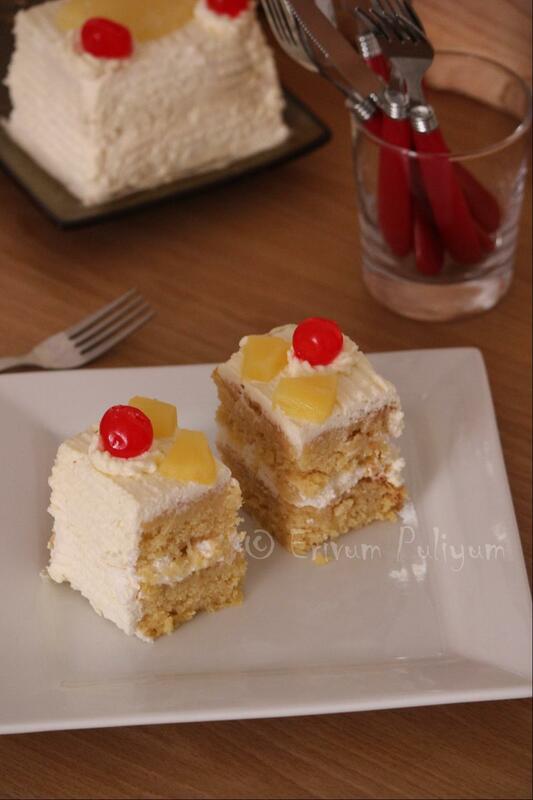 That looks so moist and yummy... Ummm..
congrats dear :) nice visual treat..
thanks very much for the reply, Julie dear! Congratulations Julie on reaching that milestone. Pineapple pastry looks great! Hi..I tried this cake.But the cake was not sweet at all.I had put complete one can pineapple juice.I donno what went wrong.There is no Sugar anywhere in the recipe right? should I have added sugar while preparing cake batter? @Pooja Sorry about the late reply..Thanx for the try,Pooja..I have added condensed milk in the recipe and so i have skipped adding sugar.If you would like the cake more sweeter,please go ahead and add powdered sugar about 1/4-1/2 cup deppending on your sweet tooth.